Understanding Dr. Martin Luther King, Jr. requires recognizing that he was compelled by his conscience. 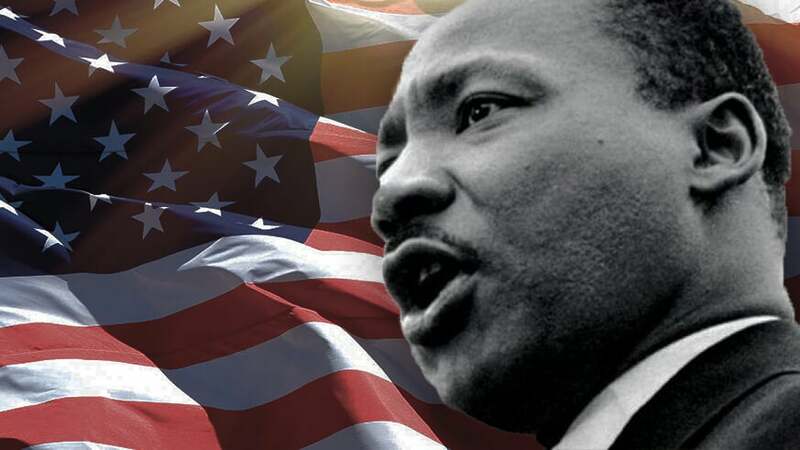 Dr. King’s dream that we would all be judged not “by the color of our skin but by the content of our character” was birthed out of his Christian conviction that racism, segregation and white supremacy are not simply unlawful, but immoral; they are contrary not just to America’s founding documents but to the laws of the God he knew. And because he served that God, he was compelled to speak this truth despite a very hateful and violent reception. In doing so, he sent a ripple through the conscience of America, ultimately changing the course of an entire nation. This is the power of religious conviction expressed and exercised. Now, imagine if King’s beliefs were limited by the government to just an act of “worship” inside the walls of his home or church. That is the America we face if we don’t embrace our religious heritage but instead allow those who wish to relegate religious Americans who act and speak according to their conscience to the back of the cultural bus. Right now, even the sight of a religious symbol in public invites hostility from those that are hellbent on removing faith from the public square. The case The American Legion v. American Humanist Association will be argued before the U.S. Supreme Court next month. First Liberty Institute and Jones Day represent The American Legion in defense of a nearly-100 year old veterans’ memorial dedicated to 49 local men who died in World War I. We defend the memorial against people who say the memorial should be defaced or destroyed because its shape, that of a cross, offends them. Stand strong with First Liberty to save the Bladensburg WWI Veterans Memorial. 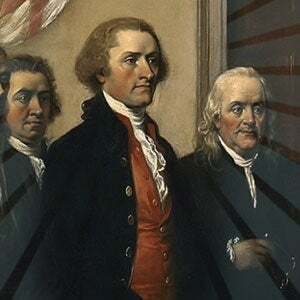 But history shows that the Founders were concerned with the governments’ power to coerce religious belief, observance, and financial support, not its presence in the public square. The mere existence of a cross-shaped memorial on public property doesn’t coerce anyone to believe anything. Erasing religious images from the public square is just the prequal to the coming prison of conscience that these secularist zealots are building for people of all faiths. Unless we are vigilant in defending religious liberty, we will no longer be free to live according to our conscience or to argue our convictions, as Dr. King did. The threat to this freedom is imminent and it is armed with the power of government. Perhaps no example of this is more egregious than in the Village of Airmont, New York, where the government is trying to regulate corporate religious activity in private homes. First Liberty represents Airmont’s Jewish residents who face fines and threats of criminal prosecution for practicing the basic mandates of their religion in their own homes. But more basically, I am in Birmingham because injustice is here. Just as the prophets of the eighth century B.C. left their villages and carried their “thus saith the Lord” far beyond the boundaries of their home towns, and just as the Apostle Paul left his village of Tarsus and carried the gospel of Jesus Christ to the far corners of the Greco Roman world, so am I compelled to carry the gospel of freedom beyond my own home town. Dr. King never advocated that those who disagreed with his message of dignity and equality should be silenced because he knew his message was powerful enough to withstand the message of hate. Religious liberty is a precious gift that we should protect with all fervor even if our convictions are not popular. In his Nobel Prize acceptance speech, Dr. King expressed his hope that all people would one day enjoy “dignity, equality and freedom for their spirits.” Freedom for the spirit means that you choose your own convictions without compulsion or coercion and then live accordingly. Our Founding Fathers placed religious liberty first among the Bill of Rights so that no American would ever have to choose between following the laws of his country and the laws of his God. Dr. King demonstrated how the government was not living up to the promises that our forefathers made to us that all men are equal. We can all honor the legacy of Dr. King by fighting to ensure the government lives up to its promise of religious freedom. Protect the gift of religious liberty!